The first screenshots Dawn of the Dragons: Ascension, the sequel to Dawn of the Dragons. The game is a full-fledged, dynamic, and immersive RPG experience that will put players back in the world of the dragons! The new title will challenge gamers with brand new adventures, quests and locations to explore. One of the most iconic fantasy games of the past decade is coming back! 5th Planet Games today announced that the eagerly awaited sequel to Dawn of the Dragons will be launching later in 2019. Dawn of the Dragons: Ascension is a full-fledged, dynamic, and immersive RPG experience that will put players back in the world of the dragons! The new title will challenge gamers with brand new adventures, quests, and locations to explore. Dawn of the Dragons: Ascension will call on players to embark on a dangerous and thrilling journey, join up with powerful allies, and ultimately slay the countless foes that will stand in their way. The dragon’s decimated armies are rising once again, and their draconic masters are elevating themselves to godhood. The great Dragon War has returned to the land of Tor’gyyl and none will be spared its fury. 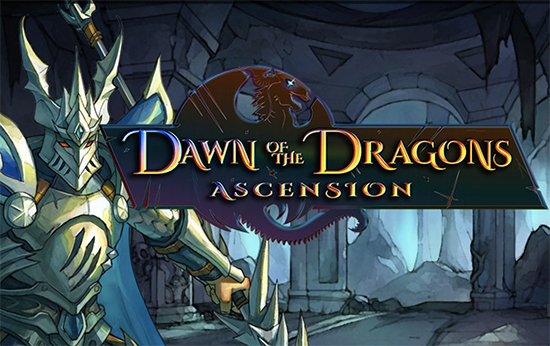 Dawn of the Dragons: Ascension is a strategic, grid based, combat RPG with a rich narrative and focus on Guilds. It’s time for players to prove what they are made of and leave their mark on history. Gamers that want to be notified when the game launches can sign up at: 5thplanetgames.com/game/dawn-of-the-dragons-ascension/. The game will be available on iOS, Android and Kartridge (PC). More information of Dawn of the Dragons: Ascension, including release date, pricing and platform availability will be announced in the coming weeks.